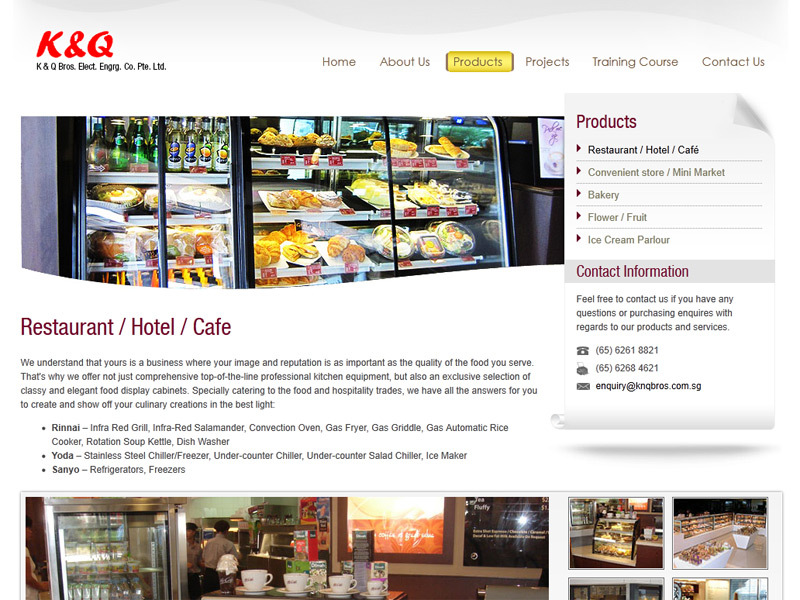 Ever wonder where you can find your kitchen equipment needs all under one roof? 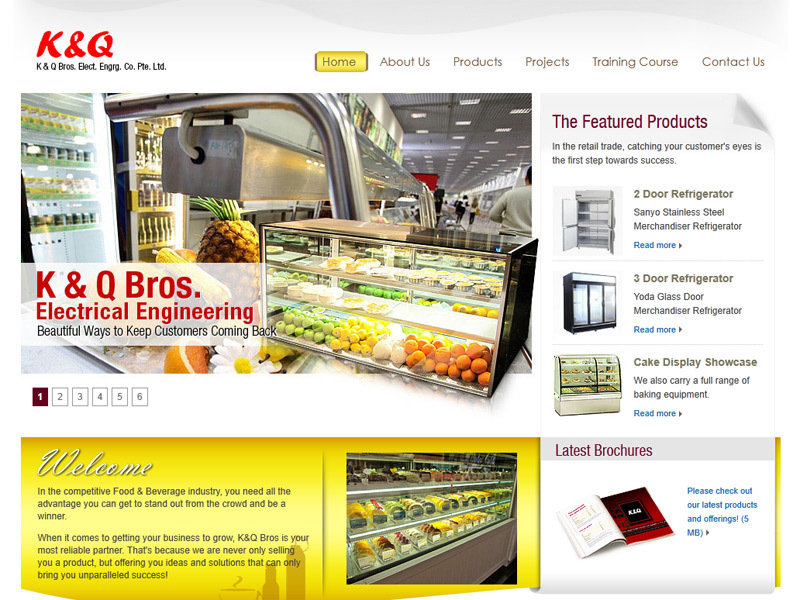 Then, K&Q Bros. Electrical Engineering Co. Pte Ltd is the place you have been looking for ! 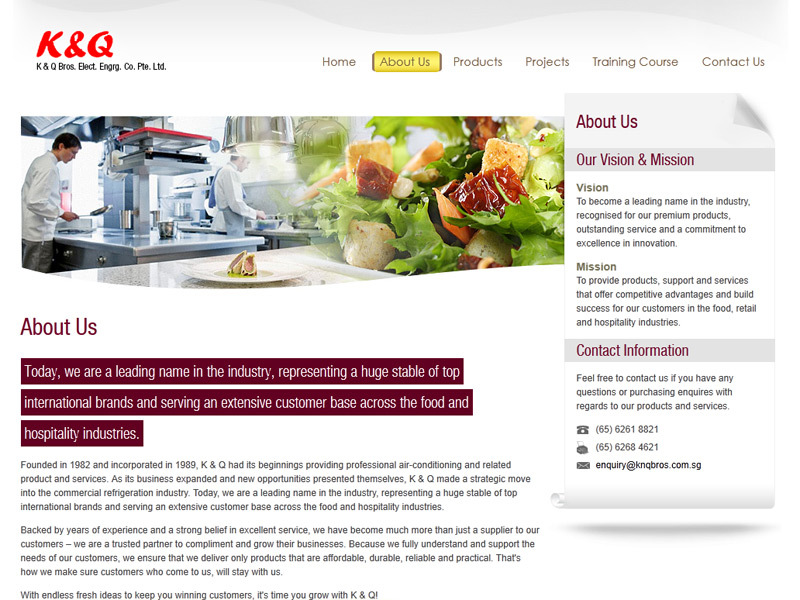 Located at #11 Kian Teck Drive, Singapore, the company is a one-stop solution provider for commercial kitchen essentials. You can choose among the many brands of equipment it carries such as Sanyo, Kinco, Kolb, and its very own brand YODA. The company started as a partnership in 1982 until it became a corporation in 1989. Since then, K&Q Bros. Electrical Engineering Co. Pte Ltd expanded its product range from domestic refrigerators, bakery equipment, food service equipment, to refrigeration and cooling system, ice cream and ice makers, and beverages stainless steel fabrication works.